Deceptively powerful and comfortable, Volkswagen owners know that while their car may look conventional, under the hood is anything but. Built with the same quality and workmanship that goes into other European luxury cars, Volkswagens are known for not carrying the same high price tag that other luxury vehicles. 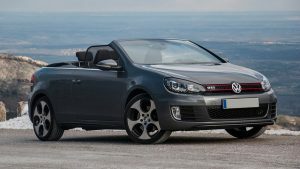 Affordable while maintaining reliability and dependability, Volkswagen has remained one of the most popular imports for years, as they’re known for standing the test of time and performing exceptionally even as the years and miles add up. For years the staff of expert mechanics at A&M Auto Service have been servicing Volkswagens in Pineville, NC with the same care and quality of work that owners have come to expect from going straight to the dealership for repairs. We use all of the latest available tools and equipment for each of our services and also offer a 2-year/24,000 mile limited warranty to further ensure lasting, quality services that you can count on. We know that it can be an expensive, frustrating experience trying to get your Volkswagen the service it needs at the dealership. Instead, visit our shop today and see why so many drivers prefer our honest, friendly mechanics and our proven results. Please call or visit us today to schedule your next service appointment or with any further questions about our services.